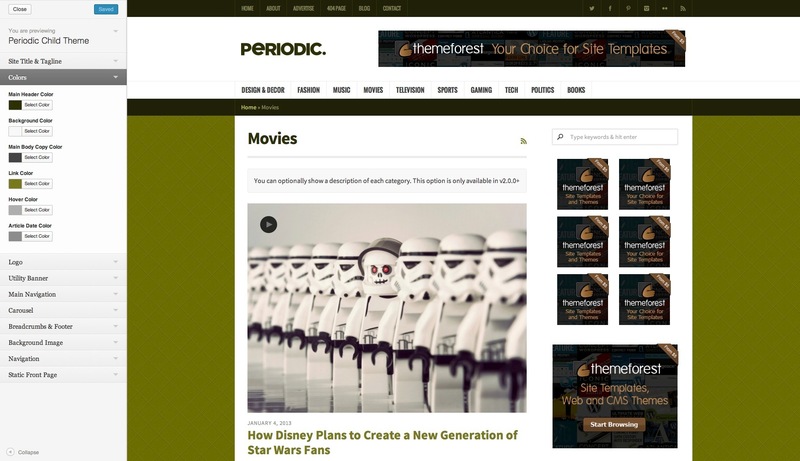 Periodic is a custom built, premium WordPress theme suited for online magazines, news portals and large blogs. 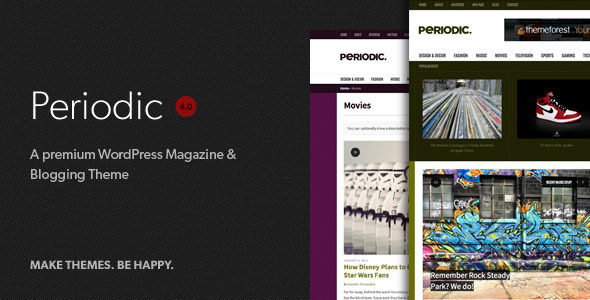 And as of version 4.0, Periodic is fully responsive. The simple, clean elegant interface is meant to be a perfect backdrop to your content. The theme is ready to start working, out of the box, with a multitude of theme options, custom widgets and custom classes to help you personalize your environment. Embed videos from any video streaming service that supports oEmbed (Vimeo, YouTube, etc.). You can even show your most recent Video Post Format post with a playable video right in your sidebar. Stream audio with our custom designed HTML5 media player. Watch as all linked images light up the screen in a light box. Localized and ready for translations with a .po and .mo file. Support is provided to customers at http://designcrumbstoo.ticksy.com.